Words of an AMD advanced processing unit meant for mobile computers is around ever since AMD bought ATI a couple of years ago. Details about a Fusions architecture first emerged in late 2009 but it was delayed over and over again. But the day for the first Fusion chips to hit the market is finally here, as today AMD unveiled the first processors from this new line. First of all, I must tell you that AMD claims their Fusion platform is “the greatest advancement in processing since the introduction of the x86 architecture more than forty years ago”. That’s a bold statement and we’ve yet to see if AMD can deliver on it. What we know for now is that their new mobile processors will get neck on neck with Intel’s Atoms and ULV lines, promising slightly improved CPU performance and way faster graphics, while offering battery life of 10+ hours. In terms of design, what AMD actually did here is create a processing unit called APU (Accelerated processing unit), combining x86 Bobcat CPUs and AMD GPU (capable of DX11 and UVD media acceleration for HD video) on a single compact (built on 40 nm), faster and energy efficient unit. 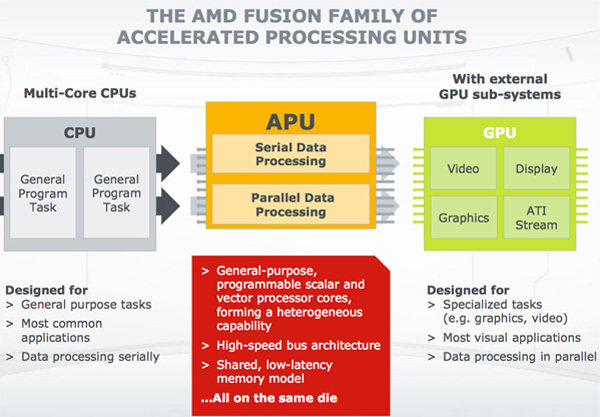 For now, only the Brazos platform is here, which is the AMD Fusion line designed for mobile devices. It comes with 4 processors, grouped in two different families, as you can see in the picture below. 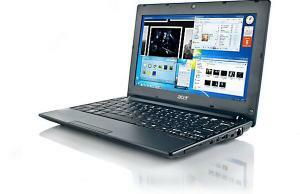 The C-Series (previously named Ontario) targets low power laptops, netbooks and even tablets. It will compete with the Atom and will offer for sure overall better performances ( especially in terms of graphics), comes with 9W TDP and promises solid battery efficiency. The E-series (previously named Zacate) targets compact notebooks, all-in-one PCS and small factor computers. Will compete with the low power Intel ULV processors (like the Core i3s and i5s) and once again the overall platform will offer better performances in terms of graphics. With an 18W total TDP, AMD claims Zacate powered devices will get up to 10 hours of life, which can probably be translated to more like 6 in everyday tasks. Which still sounds good, especially when compared to the 3-4 hours of last generations AMD processors. Also, hopefully the heat emissions problems were solved as well, as I doubt anyone will buy a mobile computer that will burn their lap. All these new Brazos processing units come with integrated graphics, but performance wise, they are enough for daily use. Won’t handle modern 3D games or video rendering/editing, but should be fine for everything else. Plus, AMD also works on some discrete graphic solutions for mobile computers, plus smart solutions for seamless changing between graphic chips (probably something similar to Nvidia’s Optimus). Since these processors will be mostly found on laptops and small notebooks, most Brazos powered devices will probably come with Windows 7 onboard and we’ll for sure get Starter for Ontario powered units and Home Premium for the Zacate ones, thanks to Microsoft’s limitations. However, as they will also power tablets, we might see various Linux distributions or other OSes powering AMD Brazos machines as well. All in all, AMD Ontario and Zacate lines are finally the competitors we’ve been expecting for Intel’s Atoms and ULVs in the mobile computers segment. As always, competition brings progress. And at least in the last year or so, there has been little progress in terms of performance in the world of 10 to 12 inch laptops. That’s for sure going to change now, as the new AMD platforms promise to bring standard notebook performance to the mini laptops in these classes. All these while keeping prices affordable, between 300 to 500 bucks. And early benchmarks show the new AMD platform will deliver on these promises. We’ve already seen a bunch of different manufacturers unveiling laptops on the Ontario and Zacate platforms (like the HP dm1z and the Lenovo IdeaPad S205) and expect a lot more products to start popping around and hit the market by early spring. AMD moved, but expect Intel to reply. 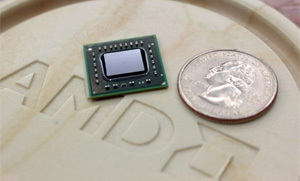 Their Sandy Bridge based ULVs should pop in the second half of 2011, as well as the Tunnel Creek and Moorestown platforms designed especially for tablets and small form factor computers. 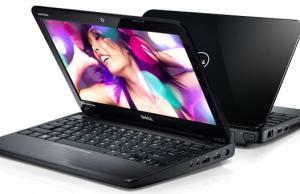 So expect a lot to change in the world of netbooks in 2011, both in terms of performance but also in terms of overall efficiency.